This retreat will provide an opportunity and environment where you will be able to enhance your practice and deepen your knowledge. 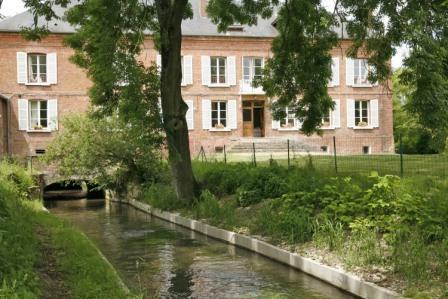 We invite you to immerse yourself in the beautiful and peaceful surroundings of the Mill Retreat Centre near Aumale in Normandy to nurture yourself both physically and spiritually. If you would like to see what previous students at a Create Space Retreat have said then please follow this link. The leaders will introduce you to aspects of philosophy and practices that are often overlooked during general classes, and there will be the opportunity for you to have direct contact with the teachers and receive guidance for your personal practice. The program will include 2 Yoga classes per day, early morning & evening meditation & satsang, Chi Kung/Tai Chi, Argentine Tango workshop, a walking meditation, guided walks and talks/workshops on Yoga philosophy, plus free time to appreciate the secluded and private location. Holistic treatments will be available. 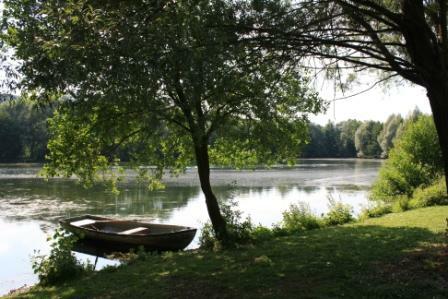 The Mill Retreat Centre is set in 30 acres of private grounds including a 10 acre lake, woodland and a wetland wildlife reserve. This has a huge variety of fish, birds, mammals and plant life. It provides a secluded and tranquil environment for meditation, walking and being at one with nature. Accommodation is primarily shared twin rooms. There is limited single accommodation. There are plenty of bathrooms and lounging areas. The retreat will start on the Wednesday at 16.00 and finish on the Sunday at 14:30. Heather teaches Hatha and Vinyasa Yoga blending different disciplines and incorporating elements of Pilates. Having a background in nutrition and Reiki healing as well as being a qualified Life Coach, has allowed her to develop an intuitive approach and awareness of both the physical and emotional wellbeing of students. This enables her to tailor their practice and take a holistic view of the lifestyle, diet or other remedial action than may benefit them. 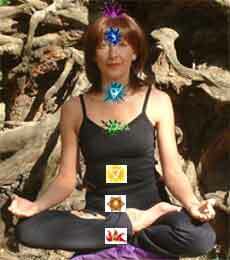 She has Diplomas in Anatomy & Physiology and Pre- & Post-Natal Yoga. 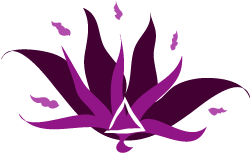 Heather is also a Life Coach and Reiki practitioner. She coaches for exam stress management in schools and runs workshops in meditation & deep relaxation. 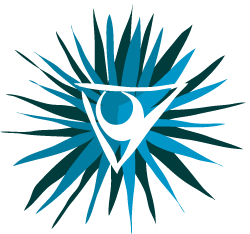 Heather also provides services to Spas, health clubs, schools, private & corporate clients and also to local authorities to help tackle inequalities in affordable healthcare for a broad range of age groups and ethnicities. 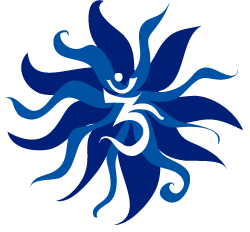 Jean-Claude teaches Rasa Yoga which weaves together asana, mantra, mudra, pranayama, meditation and chanting… along with tantra, shadow work, ritual, and a deep reverence for nature. It honours the many traditions and lineages of yoga, while awakening your authentic creativity as an individual in the modern world. He aims to motivate and inspire his students that Yoga is a way of life, a journey to be taken peacefully and healthily in both mind and body. He has Diplomas in Hatha and Rasa Yoga, Mindfulness and Gravatonic Swing Yoga. 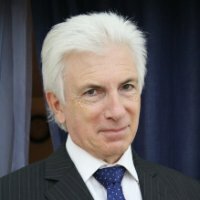 Jean Claude will also be catering for our meals, which will be vegetarian and mainly organic, using much local produce. Please let us know if you have any dietary restrictions or sensitivities. Investment per person include classes, workshops, accommodation and all meals. The Mill Retreat Centre is about 35 miles from Dieppe for the Newhaven-Dieppe ferry crossing or 96 miles from Calais for either the Dover - Calais ferry or Eurotu nnel. Most people use the Dover - Calais ferry as it is the cheapest crossing plus they are more frequent than Newhaven to Dieppe as well as being much quicker. Eurotunnel is even quicker, more frequent but a bit more expensive. If you have Sat Nav with French maps, when you reach France enter the following. NB: We recommend you experiment with how to enter the location in your sat nav whilst in the UK to confirm how to do it, as sat navs differ, particularly the integrated ones. Many of these don't have quite the same flexibility and ease of use as, say, a stand-alone Tom Tom or Garmin. T his will take you directly to the Mill Retreat Centre. NB: If you just enter Montmarquet (without Breteuil as the street) the sat nav will most probably direct you to the main village which is 2.5 miles/4 km away. In which case you will need to take the D178 in a south westerly direction, shortly after passing the village of Blangiel, there is a right turn down a narrow road signposted Breteuil, over one cross-road and at the T junction you will see the sign and driveway to the Mill Retreat Centre straight ahead. If you don't have a Sat Nav you can get on-line directions from either Google maps or Bing or use 'Maps' on an iPad. Type in your departure point eg Calais ferry port in Box A and in Box B put: Breteuil 80430 or Mill Retreat Centre. This will show you full car directions to the front door of the Mill Retreat Centre (stop as you reach the steps, I kid you not :-) ). And if you are using a map. 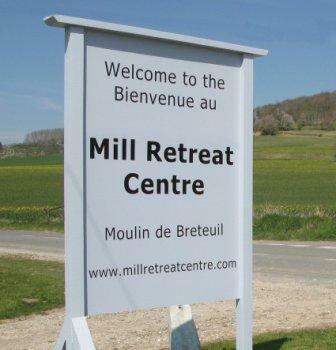 The Mill Retreat Centre is located about a mile north of Aumale on the D316 (Route Le Treport) on the west side of the road behind what is marked as 'Breteuil Farm'. You will clearly see the sign. The route from Calais takes you via a toll road which was 8 Euros the last time we used it. Alternatively it is very pleasant to get an early morning ferry and then drive to the pretty town of Le Treport at the mouth of the River Bresle. You can look around the town and maybe have lunch at one of the many excellent fish restaurants beside the harbour before driving down the Bresle valley to the retreat in the afternoon. If you don't want to drive, email Heather, and we will put you in touch with someone with a spare place in their car and you can share costs. Eurostar to Paris Nord and then as above. Important if you are driving !!!! From July 2012 it is also a requirement to carry a breathalyser. Some car parts suppliers have expensive electronic ones but you can get cheap single use ones on the ferry and at terminals. Remember in France the limit is 50mg per 100ml which is much lower than the UK's 80 mg per 100ml. Radar detectors are banned in France, even carrying one will result in a heavy fine. If you have a Sat Nav make sure you get the latest updates to French maps. Tom Tom, Garmin etc have re-named speed camera sites in France as "danger zones". Built up areas - 50 km/hr (as soon as you are past a name-board for a village or town).